I drew this mind map to depict urgent issues about the food we eat and the social structure within which our personal food habits are located. 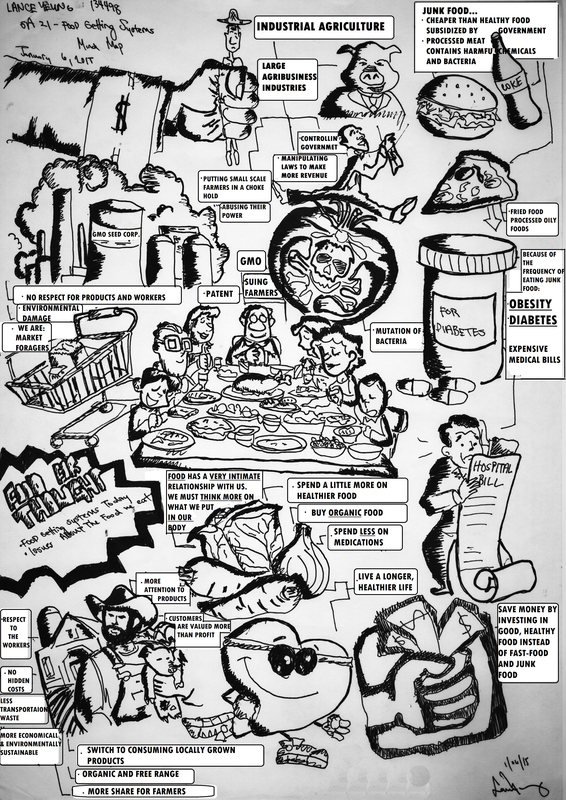 Inspired by the film, Food Inc. (Robert Kenner 2008), this illustration also presents the individual as an agent who can influence the food industry through mindful food habits that support organic local products. In your own localities, how do social structure and culture frame your personal food habits? As an active agent, how can you achieve sustainable diets in your localities that can make a positive impact on people and place? Next PostThe Mamasapano Massacre in Maguindanao: A continuing chain of discord?